If you were around in the 1950’s you might remember the beginnings of the Interstate Highway System under the leadership of President Eisenhower. It officially started in 1956 and the original system was proclaimed to be completed in 1992. 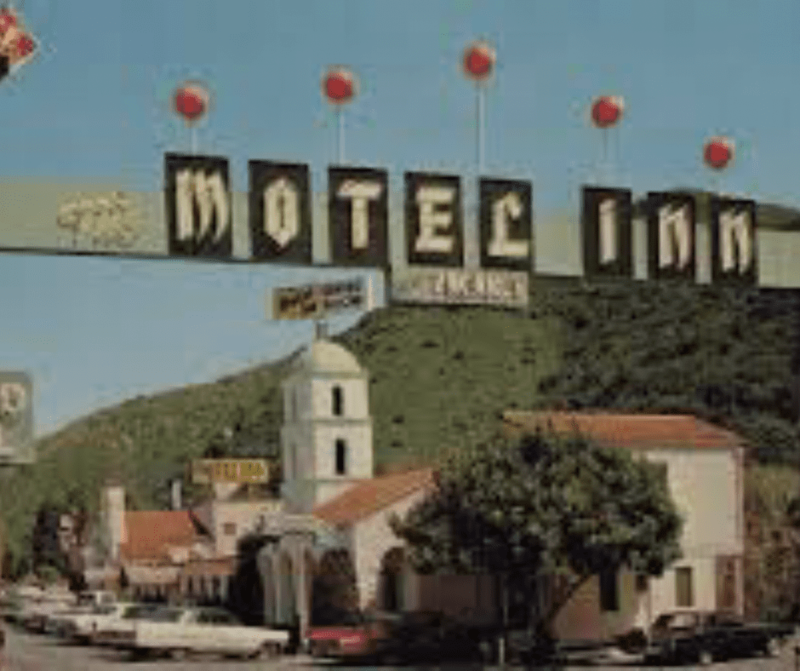 With that freeway system came many other “industries” such as the motel (Arthur Heineman built the first motel in San Luis Obispo, California and wanted to call it the “Milestone Motor Hotel” but has to shorten to mo-tel after he could not fit the entire name on his rooftop). Motels reached their peak in the 1960’s but were largely replaced by larger chain hotels at highway interchanges. With those motels and hotels came fast food restaurants. Again, springing up like weeds along the freeways and designed for people on the move who wanted a bite to eat but didn’t want to spend a lot of time looking for a restaurant. And naturally, people moving along the freeway needed gas and car service so “service stations” evolved in these same areas. A family of 5 (like mine) could embark on a long trip from southern Oregon to southern California and save large amounts of time by stopping at a freeway exit that had food, gas and a place to spend the night. Before the freeway system was built, we had to travel on divided highways and lost huge chunks of time cruising through small town after small town. These things all came about as a result of a need. People traveling by car needed quick and easy “pit stops” to shorten their time on the road. If you needed more than the typical gas, restroom and food stop, you could always find what you need by getting off the exits and driving into a city. It’s the same principle that played a part in the invention of the urgent care centers. They came about in response to a need. The “need” is actually a “don’t need”… you don’t need to go to a hospital if you don’t need to! For example, you have a sore throat. That doesn’t require a 4-hour wait in the hospital’s Emergency Department. It just requires a short wait at an urgent care facility to see a doctor or nurse practitioner. The latest addition to that idea is QuikSurg. If you get cut, why go to an ER that will cost you MUCH more or why wait 3 months waiting to see a dermatologist to that skin lesion removed? Drive here on the freeway. See the nice staff at QuikSurg who know you don’t need to wait and pay a cash price (typically considerably less expensive than a middleman’s fee). On the way home, stop at a fast food place and a gas station and you will realize that you have saved yourself time, money and hassle.